I have been feeling a little under the weather for days now, and nothing seems better than a steaming hot bowl of noodles and ramen. 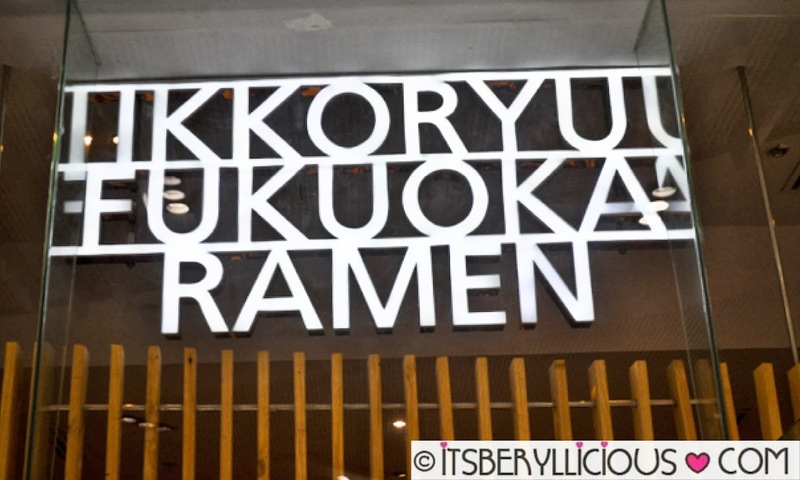 So, let me just share my ramen experience at Ikkoryu Fukuoka Ramen in SM Aura Premier a few weeks ago. Ikkoryu Fukuoka Ramen specializes in Tonkotsu ramen originating from the Kysuhu region in Japan. 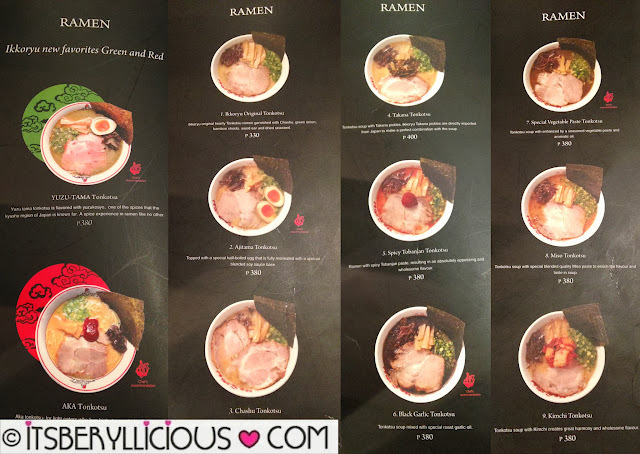 Their tonkotsu base is made by boiling pork bones with seasonings for several hours for that creamy and rich flavor, while their ramen is characterized by thin, straight, and al dente noodles. 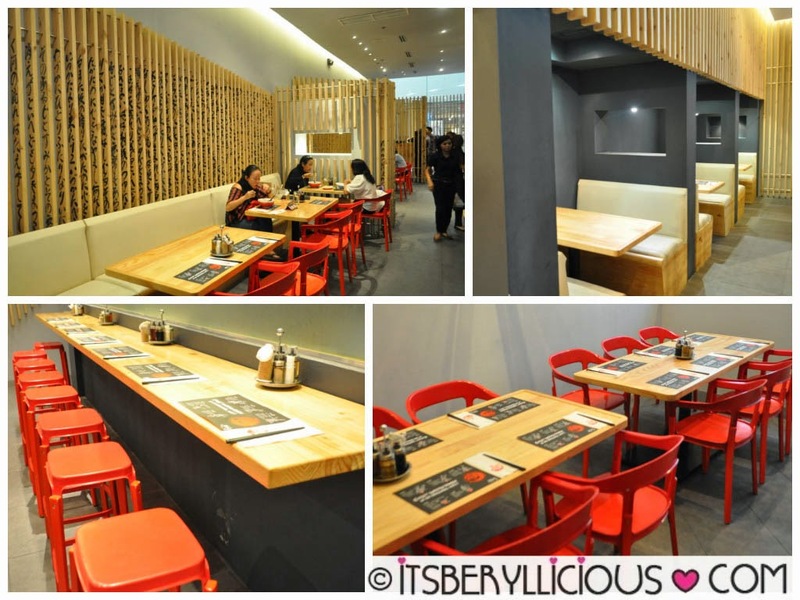 The interior of the place is quite similar to their Shangrila branch where wooden panels with Japanese characters function as dividers. They have an area at the back where guests could have a more private dining setup, or you may also opt to seat at the counters near the kitchen. 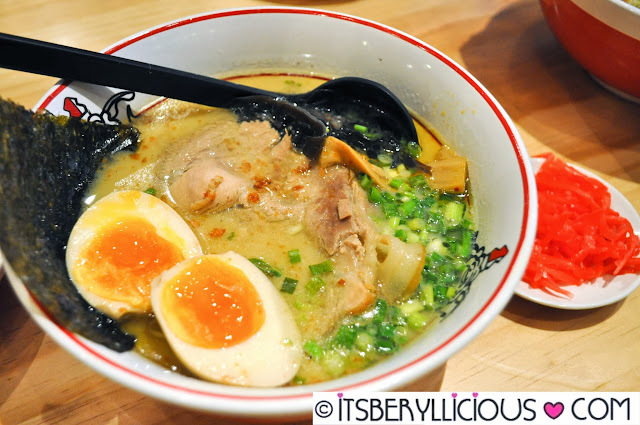 Moving on with our orders, we had Ikkoryu's best-selling ramen, the classic Ajitama Tonkotsu (P380) which is topped with a half-boiled egg, fully marinated with a special blended soy sauce base. You'll be asked by the waiter on how you want your noodles to be- soft, normal, hard, very hard. We opted for very hard, which I think is just the perfect choice for firm and chewy noodles. The broth was indeed very creamy and flavorful! Topped with chasu slices, bamboo shoots, spring onions, wood ear and dried seaweeds, the highlight of this dish was their special half-boiled egg which I wish was runnier. We were curious to try out the famous Black Garlic Tonkatsu, but their new ramen items caught our attention. 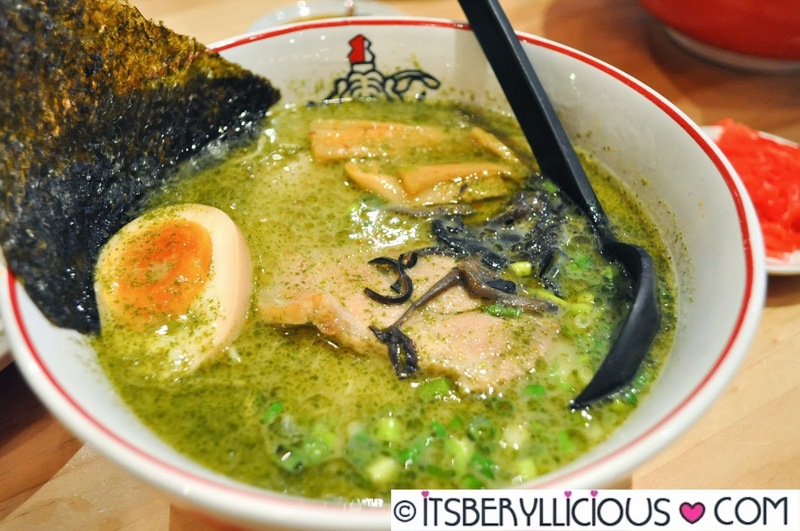 One of which is the Yuzu-Tama Tonkotsu (P380). It is a flavored with yuzukosho, a japanese seasoning made from a Japanese citrus fruit called Yuzu. I was expecting a refreshing and tangy taste of lime from the ramen but there was none. Instead, a strong and zesty heat from the spices kicks in after every sip, but never lingers into the mouth. Very interesting! Don't forget to grind some sesame seeds to it for added aroma and flavor. Despite being smaller compared to other gyozas we've tried, these Japanese dumplings were very juicy and tasty. 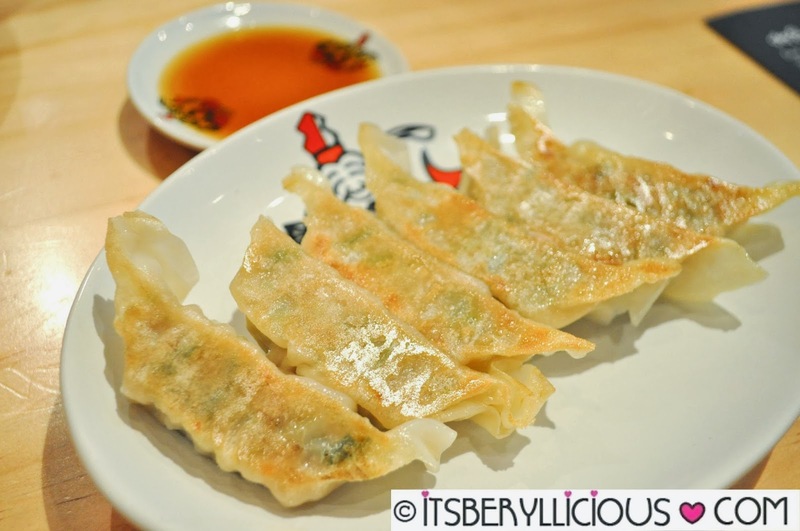 I think it's also because of their gyoza sauce with some addition of vinegar. 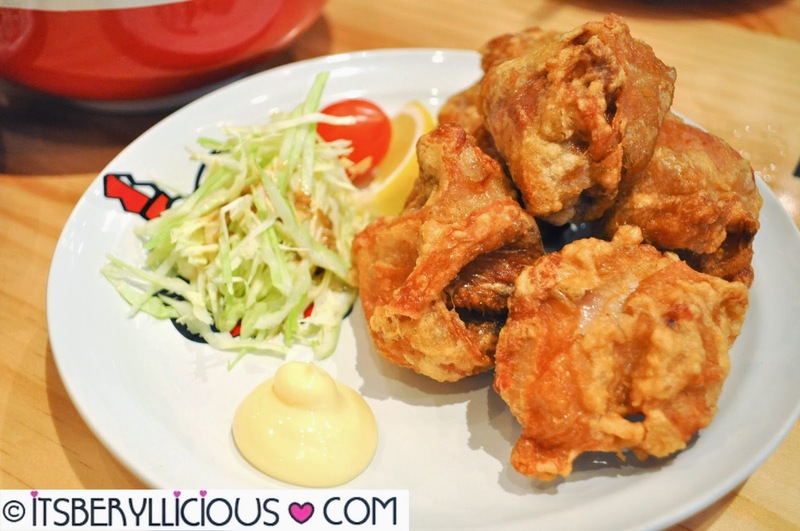 Simple as it may look, these Japanese fried chicken were crispy on the outside, and very tender, chunky and juicy on the inside. 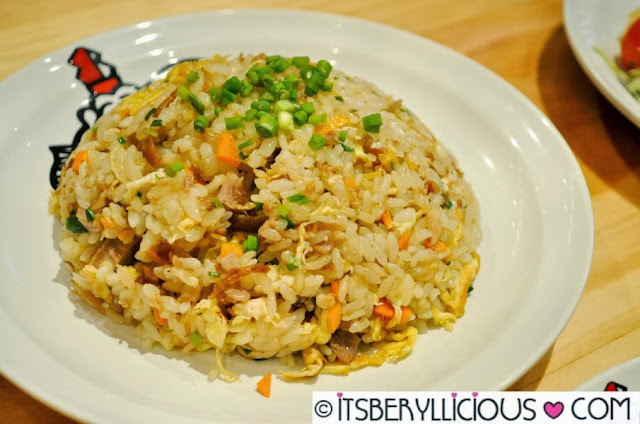 Simple yet very tasty! 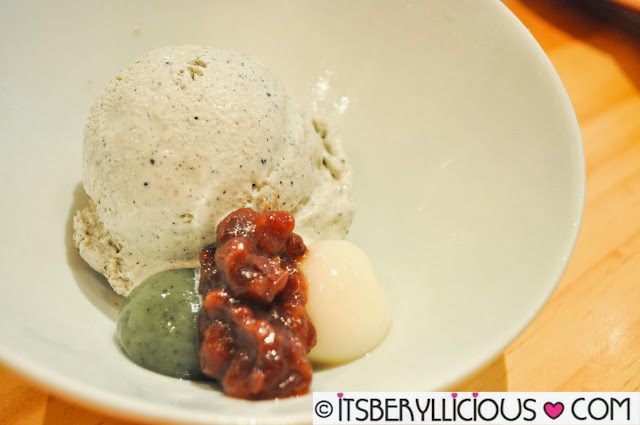 The taste of the black sesame ice cream was not too distinct, while the glutinous rice balls and red bean paste were just okay. Maybe I should try their green tea ice cream next time. 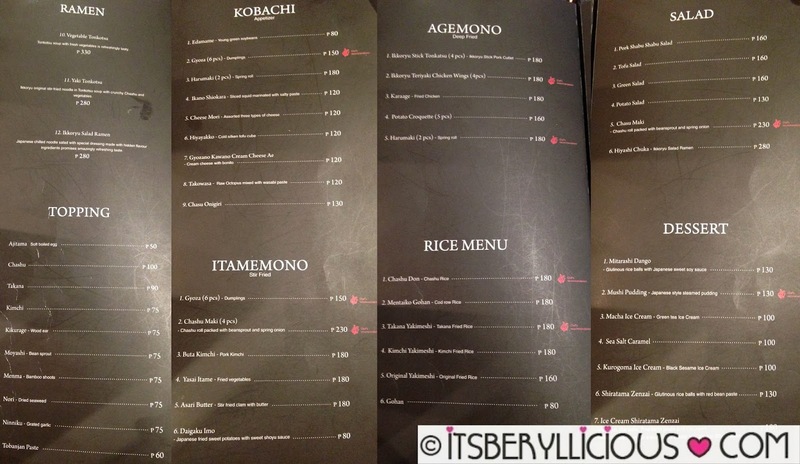 Overall, we pretty much enjoyed most of the dishes we had. I have yet to visit again and try their Teriyaki Chicken Wings which disappointed D during his first visit. We were told that their wings are now bigger and meatier than before and we just cant wait to check it out ourselves. Of course, the AKA Tonkotsu and Black Garlic Tonkotsu are on our next hit list at Ikkoryu. I miss eating here. I thought they have the best ramen yet, but this opinion might be waived when I get to try Wrong Ramen soon. Pati dyan sa Ikkoryu I did not get to finish one bowl hehe portion is too big so I always have to find someone to share with.